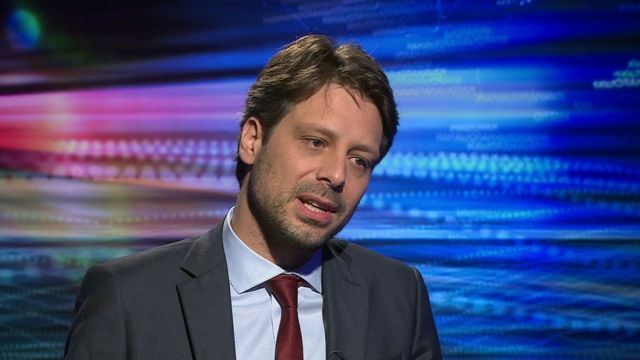 Ecuador's Foreign Minister Guillaume Long says there is concern about the health of Julian Assange, who has now been in London's Ecuadorian Embassy for four years. He told Zeinab Badawi: "We are concerned about his health. He doesn't have access to good health care. We are very worried about this. After four years, there is a clear deterioration." The Wikileaks founder sought refuge in the embassy in 2012 to avoid extradition to Sweden to face accusations of sexual assault, which he denies. Mr Long said: "Ecuador is getting very fed up with this. It is an embassy under siege. You try making a phone call from the embassy and see if that works. It's probably one of the most spied on embassies in the world." But he said there were no regrets about the decision to offer Mr Assange refuge.